Daylong training on Alternative Dispute Resolution held at BIAC for students. A total of 18 participants including our guests from the Bhutan Alternative Dispute Resolution Centre attended the course. 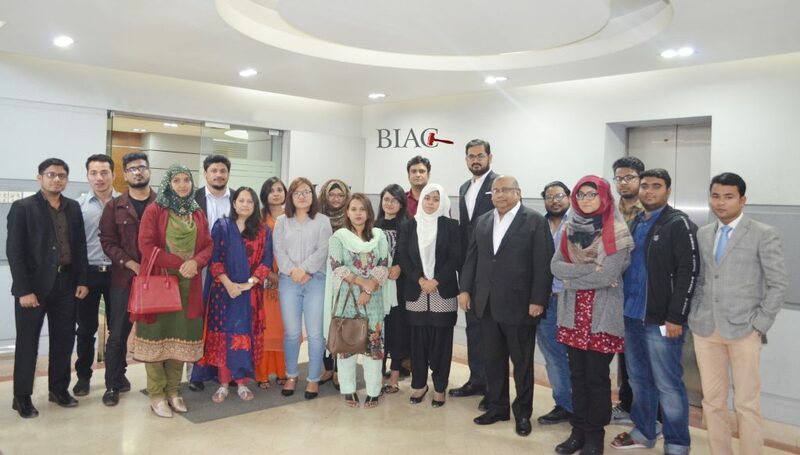 The course comprised of morning session on Arbitation and afternoon session on Mediation conducted by Barrister Nabil Ahsan and Ms. Shireen Scheik Mainuddin respectively. On completion of the course certificates were distributed to all the participants and BIAC CEO Mr. Muhammad A. Rumee Ali did the honors.